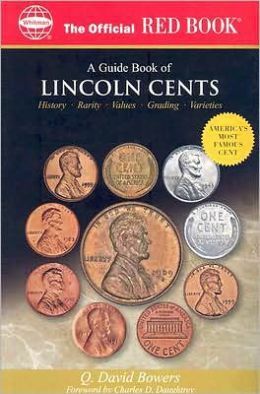 Like most collectors, you have probably collected Lincoln Cents, or some other recent series and now you want to go back in time a little bit more. Indian Head Cents were produced from 1859 to 1909, while its predecessor, the Flying Eagle Cent was produced from 1857 to 1858. Just think of the history that took place during that span of time; The Civil War, invention of the automobile, etc. America was essentially at war with Native Americans, yet on the coin that was most widely produced and widely used, was the image of an Indian. Over the span of 50 years, over 1.8 billion Indian Head Cents were produced. That 1.8 billion is not that far off from the number of Lincoln Pennies made in a single month today. Additionally, about ½ of that 1.8 billion were made during the last 15 years of production. Experts have estimated that less than 1% of all earlier date Indian Head Cents survive today and only 2% to 10% of later dates survived. Unlike today, back in 1880, a pocket full of pennies could buy quite a bit. 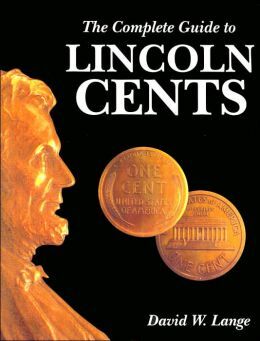 While there is no sure way to tell, and despite low mintages compared to the Lincoln Cent, many coins are readily available making a collection of Indian Head Cents a very feasible project. Before embarking on starting a collection, you must first decide how you want to proceed. Like any coin, there are as many ways to collect it as you can think of. It is up to you. For most readers of this article, you are probably looking at completing an entire series. Most dates in low or average grades will be very easy to come by. Excluding an 1877, a complete set may cost you around $1200. Include an 1877 and the cost goes up as an 1877 in G4 will cost around $800 (price as of March 2007). That same collection in XF may cost around $8500 and the same set in MS65, if you could find them all, would run over $63,000. Regardless of what you want to collect, a well thought out plan is required. Your plan should include a budget, methodology and goals. Here are some ideas you may want to consider regarding the type of collection you want to have. Let’s assume you would like to complete an entire set of Indian Head cents. As mentioned above, this is a very doable project. As mentioned earlier, most all dates are available. Generally speaking, about 15-20 dates, the last 15-20 years of production, can be had for a couple dollars apiece if in G4 condition or $7.00 to $15 in XF. For G4 coins, a good way to start may be purchasing a roll and you will likely get 10-15 of these dates for less than a couple dollars each with a few left over. Additionally, a mixed roll might contain a few coins in VG or higher condition. This could minimize your cost, assuming you can then sell the extras. From there, another 10 dates (1880-1890) will cost you about $3 to $10 each in G4 condition and $15 to $50 in VF to XF and then there are 3-5 dates before 1880 that can be had for less than $10 in G4 and $30 to $50 in VF to XF. Using this approach you can complete a short set from 1880 to 1909, not including “S” dates real fast. Once you get to this point though, it gets a little tougher, at least in terms of price. With the exception of a few dates, most Indian Head Cents from 1859 to 1879, even in just G4 condition can run from $10 to $100, with many in the $40-$60 range, excluding the 1877 of course. In XF condition, all but a few are over $100 with many in the $500 dollar range. The 1877 will run about $3000. One option to consider is to keep an eye out for the tougher coins as you attempt to complete your set. Historically, the 1877 cent has continued to go up while the lower end coins have remained fairly stable in price. Also, be careful as there are 1877 fakes out there. You may want to consider your purchase from a reliable source or only certified examples. If you are primarily looking for beauty in your collection, then consider buying proofs or mint state coins in RED condition. I would highly advise buying only certified coins in this area and then only consider well known grading companies. In all cases, buy the coin, not the grade. What does this mean? Grading is highly subjective. A MS64 coin may well look much better than a MS65 coin. Grading does not typically include toning, luster, etc. I once bought a site unseen MS65 coin only to get the ugliest looking coin I ever saw. But it was graded MS65 by PCGS.